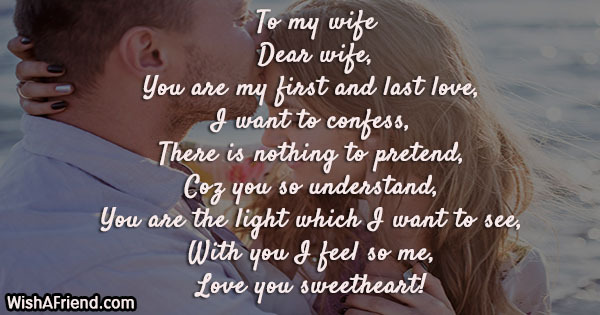 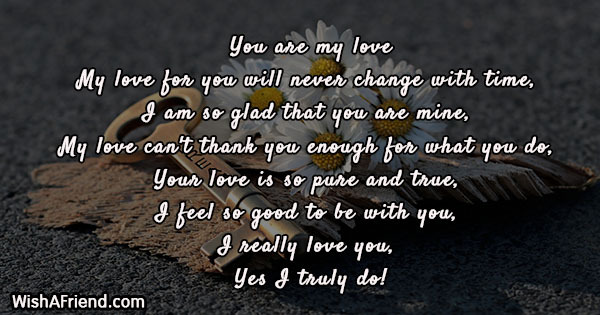 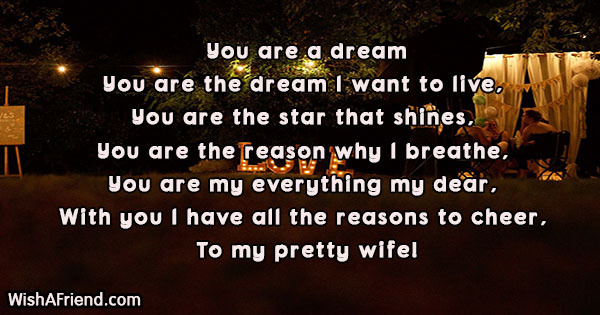 Read and share simple poems about wife and express your love to your wife. 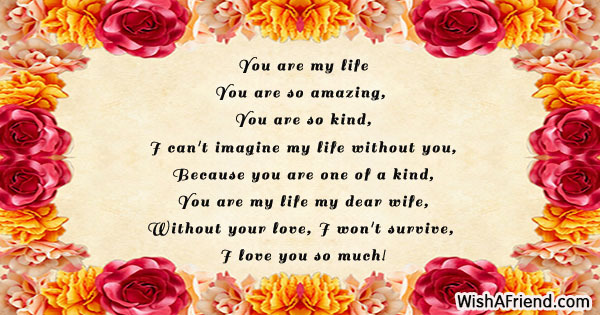 You can share/send these poems to your wife via Text/SMS, Email, Facebook, Whatsapp, IM etc. 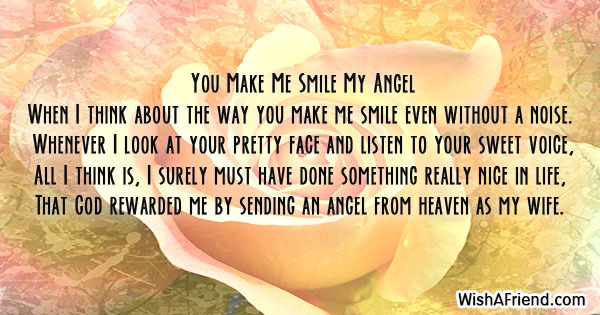 When I think about the way you make me smile even without a noise. 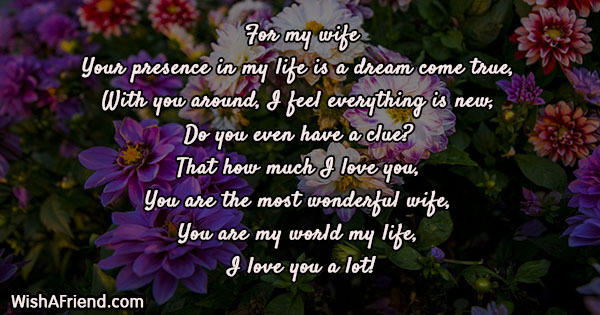 That God rewarded me by sending an angel from heaven as my wife. 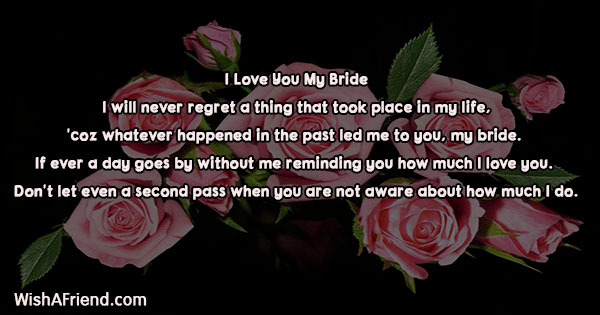 'coz whatever happened in the past led me to you, my bride. 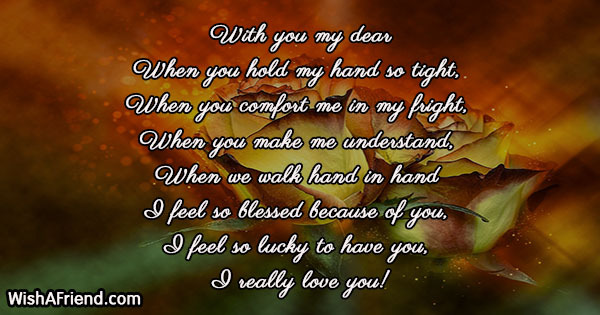 If ever a day goes by without me reminding you how much I love you. 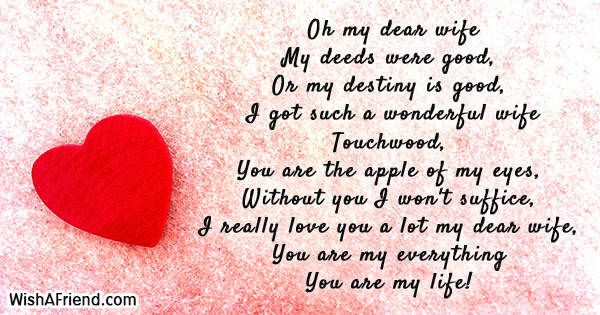 Don't let even a second pass when you are not aware about how much I do. 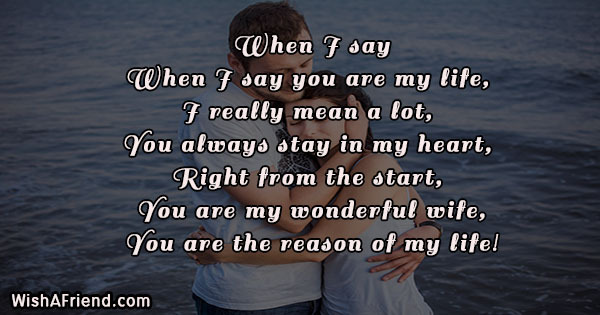 You are the reason of my life! 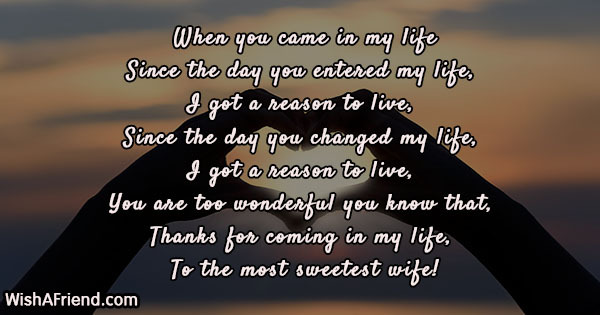 To the most sweetest wife! 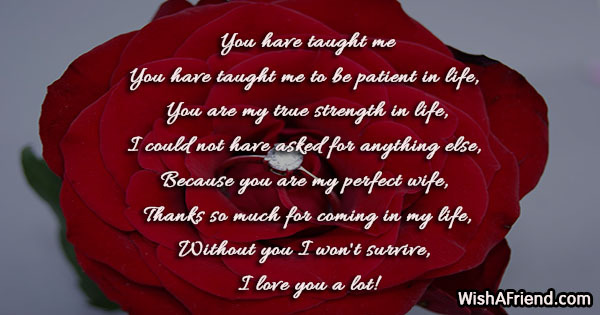 Thank you my beautiful wife! 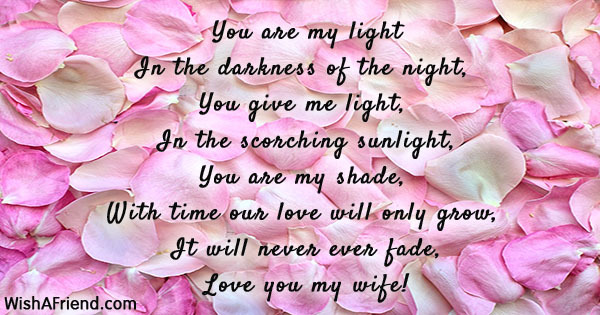 I love you my sweetheart! 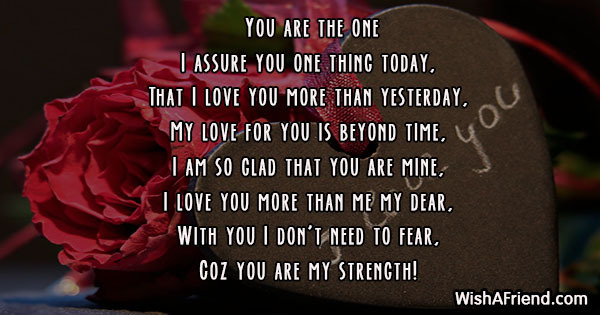 Coz you are my strength!